Keep up to date with what is happening in the world of Duradek and Durarail here in the Pacific Northwest. 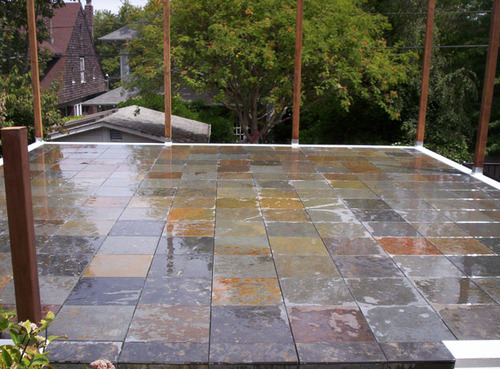 Beautiful outdoor living spaces can be wonderful but what about the maintenance cost, inevitable rot and longevity? All exposed wood, whether cedar, fir, exotic, treated or composites made with sawdust fillers will decompose over a decade or so without costly maintenance and pain staking labor. History shows us that the very lumber used to support the wood or composite deck will fail regardless of the top of the deck and will be razed much sooner than people realize and warranties commonly do not cover the frame work. 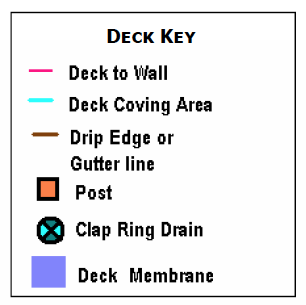 So history is clear that drip through style decks always fail and are neither forest sustainable nor earth friendly. 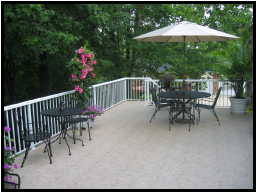 Consider if your deck surface needs replacing every 20 years, the forest can not sustain the consumption. 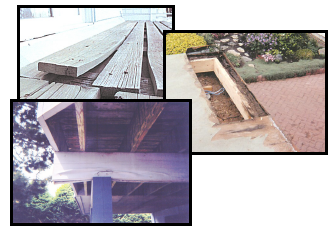 If your deck top lasts 25 years but your structure frame rots out from underneath then your deck system is unsustainable and economically burdensome. If your composite boards or deck lumber requires treated lumber for its framing your deck will still rot and with certain treated lumbers even your metal screws, nails and joist hangers can rot. This too is unsustainable, economically unsound and the lumber may be considered a bio-hazardous material when removed. In contrast, if your deck system is waterproof, protecting the wood frame, fasteners, and plywood from moisture, it will not rot (venting may be necessary). Simply put and the obvious proof is that wood trusses, in most homes, are not treated. They are just protected from the elements by the roofing or waterproofing and allowed to breathe through exposed ceiling or venting designs. The fact is non-treated trusses last for decades, even centuries and that is forest sustainable and therefore earth smart. 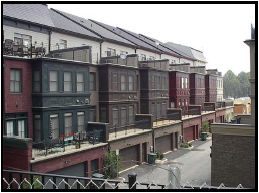 When choosing a waterproofing, understand that if it requires additional coating every three to six years to maintain its waterproofing ability as well as warranty, then this should be economically prohibitive. 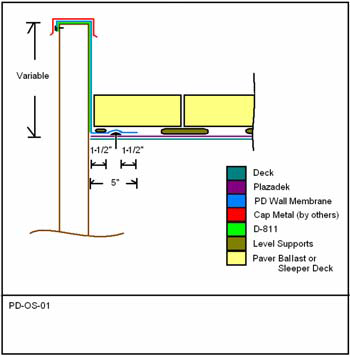 Furthermore, if recoating your deck surface requires dry plywood or clean surface (dry being 6% or less moisture) then this goal is unachievable. New plywood is manufactured at 5% moisture approximately and as it acclimates, it absorbs ambient humidity, equalizing commonly between 9% to 13% moisture content. This moisture may cause blistering, peeling and delamination of coatings making resurfacing difficult if not impossible. Generally installing new plywood is the only way to meet their requirements and thus unsustainable for the forests and economically impracticable. DuradekTM has been doing it right for over thirty-seven years and is proudly made in the USA. 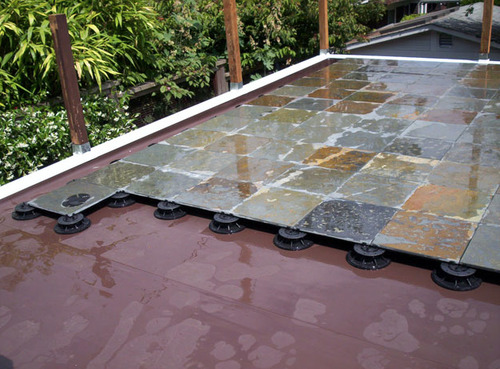 DuradekTM, the original waterproof vinyl membrane, requires soap and water to keep it clean and that’s it. Thirty-seven years of doing has taught us that all things wear out so at the end of your membranes life you can simply re-skin it. Yes, go right over the existing or peel off the first skin and reinstall the new. No rebuilding and no demolition saving you time, energy, money and the forest. You not only save money yearly but at the deck’s life cycle end. No deck system out performs and/or costs less in true life cycle costing than DuradekTM. 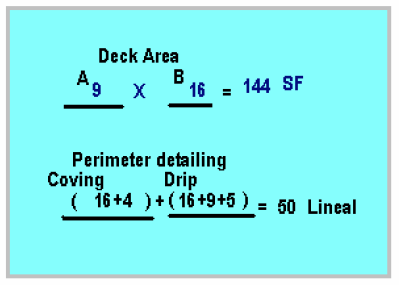 No deck system is easier to maintain or easier on the earth. Your deck structure can now last centuries and your budget won’t get nickel and dimed. That is smart costing, good economics, and earth-friendly. Independently monitored for formula compliance and thickness consistency. Tested for deck traffic wear simulation of 20 years and have code approval documentation to prove it. A must for roofing application. 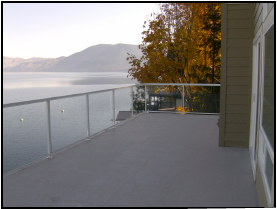 Manufacturer produces their own hand rail for true “Single Source” protection when incorporating rail in the project, one installer, who understands waterproofing; one manufacturer. Manufacturer provides over 30 different membrane choices. Material utilizes a cloth back, not fleece, reinforced technology proving maximum thickness of uninterrupted ware surface protection. Mid reinforced products can only provide half the ware life while a fleece back membrane can wick water uninhibited. Utilizing a removable fabric backing maximizing elongation thus providing superior and color matched non reinforced detailing. 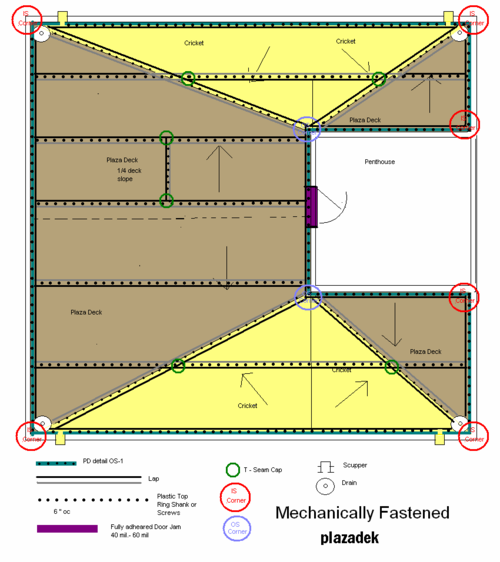 Passes IRC and ICC code required tests for welding seam strength as a roof application. Installed by an authorized company and recipient of the factory authorized education and training. 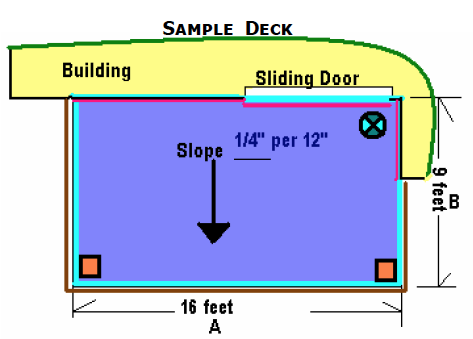 Since over 95% of all quality waterproof vinyl membrane deck failure is installer related, this is a must, so require a copy of their certificate and verify installer authorization via phone from manufacturer, your diligence pays. 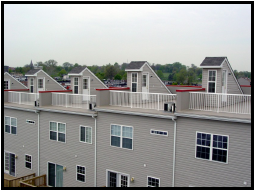 There are a lot of promises in the deck industry; do not be pennies wise but dollars foolish. 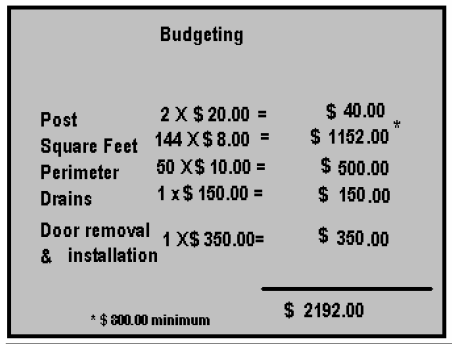 If you are not thinking life cycle costs then costly reconstruction and pain staking maintenance is your path. Life cycle is economic prudence and the true cost of any service or product. DuradekTM is the right choice for you and our environment. Matthew Whale has lived in the Northwest all his fifty-two years of life. He has numerous awards for sales and has served on several prominent waterproofing and roofing manufacturer’s marketing counsels. His background includes lumber mill sawyer and manager, where they specialized in treated post, beams and stringers. He is a carpenter, a certified construction document technician and is factory trained in multiple thermal plastic single-ply, thermal welded and rubberized bitumen membranes as well as being a liquid damproofing, roofing and waterproof coatings representative. 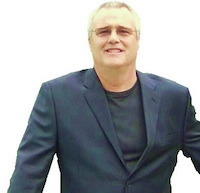 He has spent the last twenty-five years serving the Northwest in his current role as president of Washington Alaska Roof Systems, Inc and Duradek Northwest, a division thereof. 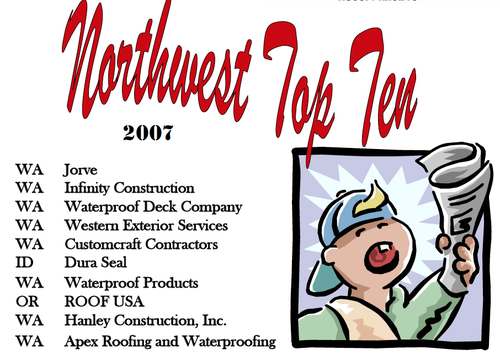 Congratulations to the Northwest Top Ten duradek tm installation companies, your sales efforts and installation quality not only made this the best Durakek® Northwest year ever, but did it without one manufacturer’s workmanship warranty related problem. 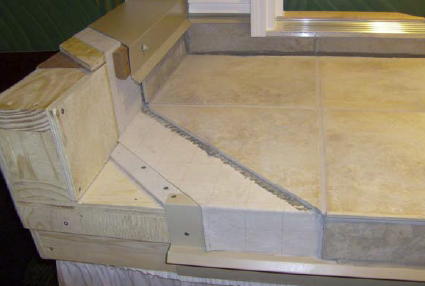 This speaks loudly of the quality and follow-through of the Duradek® network and you. Jorve Corporation again leads the way and raises the bar for all of us. We will say that this was one of the closest races, by percentages, we have seen. Hats off to you all and a wonderful 2008. Tile Waterproofing Traffic Membrane: Ensurco Duradek Ultra Tiledek; bottom polyester reinforced and polyester top surface PVC membrane with ultra-violet resistance, for fully-adhered installation with heat-welded seams and perimeter attachment designed to receive a tile* overlay. Sheet Width: 72 inch (1371.5 mm). Overall Sheet Thickness: 0.063 inch (1.6 mm). PVC Film Thickness: 0.050 inch (1.3 mm). Weight: 50 oz/sq yd (1695 g/sq m). Color: Neutral w/ Fabric surface. Exterior grade tiles to be installed to TCNA’s standards. 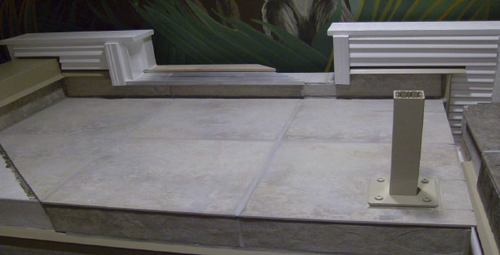 Plazadek is the latest in waterproofing membranes designed specifically for a paver or duck board overlay. Same duradek formula for reliability, performance, ease of handling. Compatible with existing Duradek membranes, adhesive and accessories. Call today for availability and details. How Do I Calculate a Deck Budget? This template is not meant to establish market pricing but is provided as a tool for budgeting a simple deck. 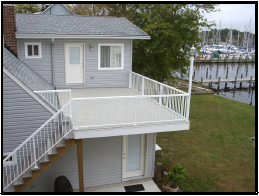 Job location , time year, job access, existing deck surface and siding are some of the additional factors incorporated into the final deck price. 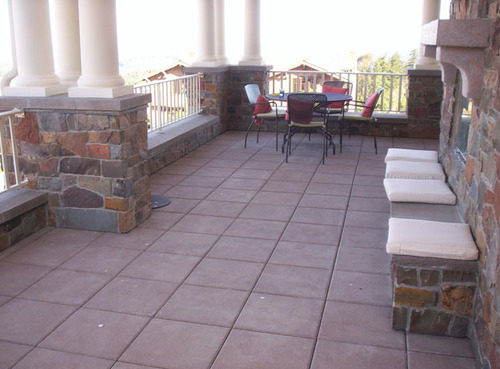 For an actual quote please contact your local trained & authorized Duradek Installer. Please understand that currently Duradek has the only ongoing accredited waterproof vinyl Architectural Education and installation training program available in the Northwest. 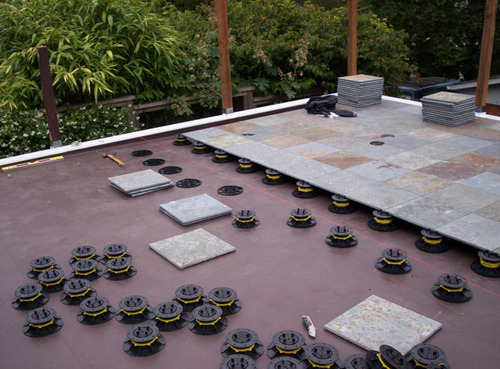 An installer list may be found online at duradek.com or by calling us at Duradek NW (253-939-6096).